Only the leading 15 players make the prize list in 36-hole Algarve Pro Tour events and Craig Lawrie (Paul Lawrie Golf Centre), the leading Scot with scores of 74 and 67 for five-under-par 141, squeezed into the Penina Classic pay-out list in a share of 13th place this week. Lawrie, who was a winner before Christmas on the 2017-18 Portugal circuit, earned 337 euros (£298). The only other Scot in the top 20 was Chris Maclean who shot 73-70 for 143 and a joint 16th finish. 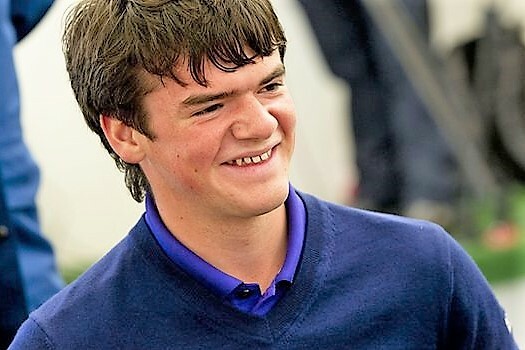 Former Scottish amateur champion Zander Culverwell finished joint 27th on 146 (75-71). Craig Lawrie's cousin, Sean Lawrie, started badly with an 81 but finished strongly with a 68 for 149 and joint 34th place. Deeside amateur Benjamin Henderson finished 63rd on 170 with disappointing scores of 87 and 83 for 170. Englishmen filled the first three places with James Maw collecting the 2,000 euros (£1,765) top prize with scores of 68 and 65 for a 13-under-par total of 133 over the par-73 lay-out. David Dixon was second on 135 (72-63) and Jamie Abbot (70-66 for 136) third. Penina Hotel and Golf Club, Portugal. 133 J Maw (Eng) 68 65. 135 D Dixon (Eng) 73 63. 138 D Boote (Wal) 69 69, J Carlota (Por) 68 70. 149 S Lawrie 81 68 (T34). 170 B Henderson (am) 87 83 (63rd).